Suffragette reformer who led protests for women's equality. 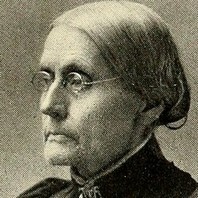 She co-founded both the Women's Temperance Movement and the women's rights journal The Revolution. I don't want to die as long as I can work; the minute I can not, I want to go. Suffrage is the pivotal right.